I’ve been using Wise-Men organic healing balm for about a week. It helps ease my neuropathy and arthritis in my hands and feet. I use it on my entire feet and hands to help relieve my arthritis and nerve pain. You only need to dap a very small amount on the area and gently rub the balm into your skin. A little goes a long way. I also use this healing balm on my face once or twice a week as a night time cream to help moisturizer my face and try to lessen fines lines around my eyes and other areas on my face. 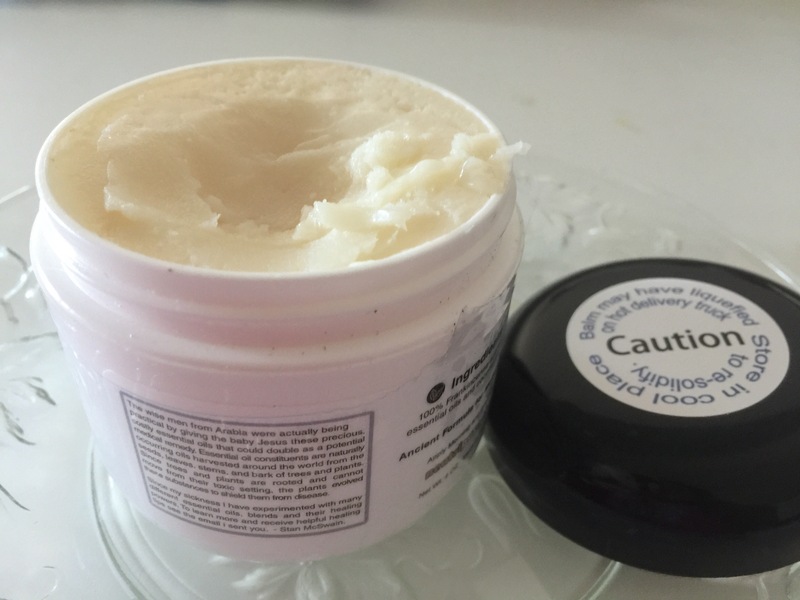 The healing balm is absorbed into your skin in approximately the first 20 minutes. No need to wash off the residue in the morning as their is no residue. Wise-Men healing balm is unrefined, 100 percent organic, and processed as minamally as possible. It’s made up of just three ingredients, the Coconut oil base along with Frankincense and Myrrh essential oils. Frankensence and Myrrh essential oils have been used for many centuries. Both oils have many healing properties. Myrrh is most commonly known as one of the gifts (along with gold and frankincense) the three Wise Men brought to Jesus in the New Testament. Centuries ago Myrrh was used as a spice and a natural remedy for various ailments. Myrrh also has anti inflammatory effects. Myrrhcan help maintain healthy skin. It also can help you to relax when applied to your skin. Frankensencse essential oil has many uses. It can help remove sunspots, tiny wrinkles around your eyes and cheeks of your face. This product also helps to fade stretch marks and scars. Is can also be used as an antiseptic, disinfectant, astringent. Coconut oil is also great and has many fantastic uses. It is a great moisturizer. Also coconut oil will keep forever. So, a combination of Coconut, Myrrh and Frankensencse essential oils combined together make an absolutely wonderful organic healing balm that has so many uses when applied topically on your skin. I have found that this healing balm has helped to improve my facial skin and also helped to improve my neuropathy in my hands and feet. I even use this organic healing balm to help my facial skin look younger. I have very sensitive facial skin so I really liked the fact that this product is totally organic. There are no chemicals in this product. I now read labels on everything before I purchase the product. help to unclog your pores. It will also gently remove dull, dry, flakey skin. The Konjac sponges are infused with charcoal, red clay, turmeric and green tea. All organic products that are very good for your skin. I have very sensitive facial skin, so I really liked the fact that this product is totally organic. There are no chemicals in this product. I now read labels on everything before I purchase the product. The Konjac sponges are squishy when soaked in warm water for five minutes before you use it. The sponges are very hard when dry, so you must make sure they are softened with water before each use. This sponge makes a rich lather using less cleanser. 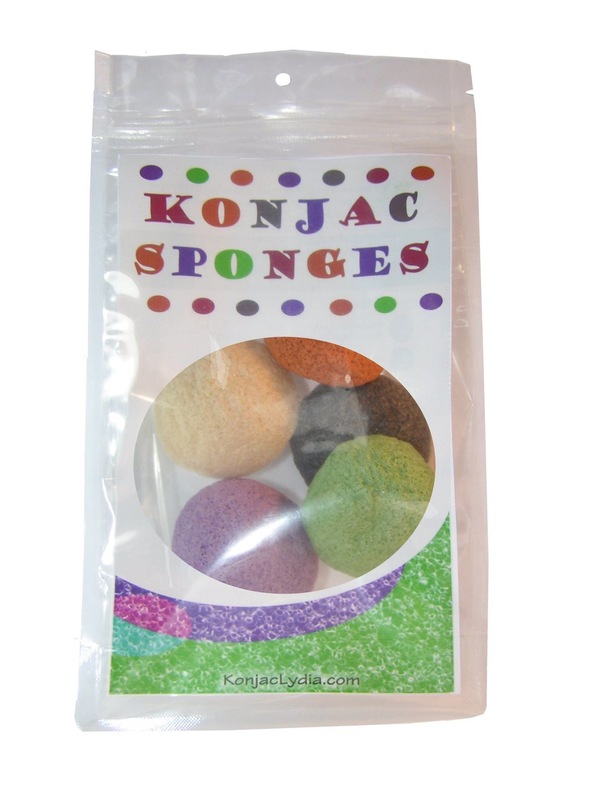 You will notice a big difference in using these Konjac sponges. These sponges are delicate but yet feel so rich, like you are getting a mini facial spa treatment on your face. I have been using the sponges on my face daily as part of my regimented skin care. I will never go back to using an electric facial brush which at times has been rough on my facial skin. This product is truly amazing and leaves my face cleansers and feeling super soft and clean. I love the way my face feels afterwards. Fantastic little sponge that’s well worth the money. I will continue to use this product daily. I feel a big difference in the appearance of my face. It looks and feels great. Also, I haven’t had anymore skin breakouts since using this amazing Konjac sponge. This sponge makes my skin fell the best it can be. Thanks for a great exfoliating sponge! 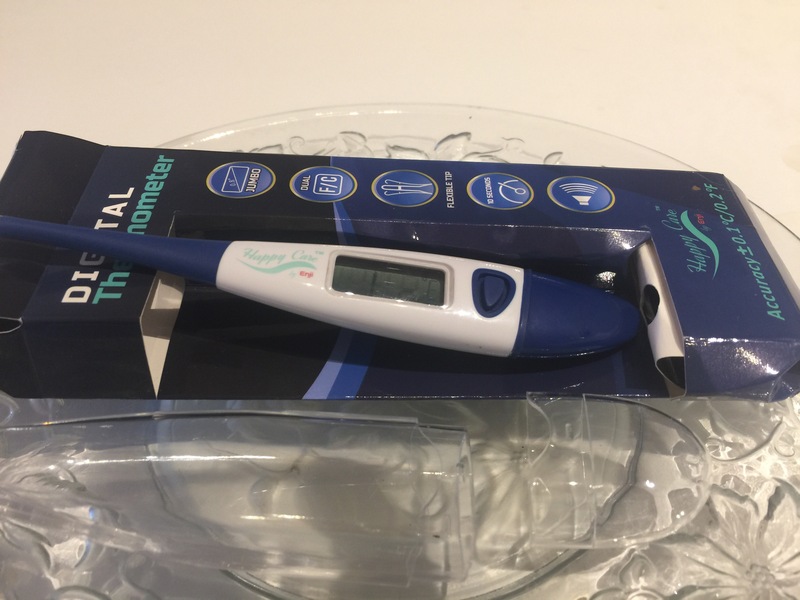 This product is a dual mode thermometer which means you can read your temperature from your forehead or inside your ear. This dual mode thermometer is great. It does initially cost more than the standard LED thermometer, but in the long run is well worth the cost. Remember when your child or adult is sick and you find it difficult to insert the thermometer under their tongue, never mind trying to also get them to keep it under their tongue and then keep their mouth closed. Well using this dual probe you just easily, gently press the dual mode themometer on the persons forehead or insert the tip of the probe gently into their ear to quickly get a reading of their temperature. It takes less than three seconds to get an exact temperature reading. Using this dual thermometer is a much better solution than using a LED thermometer. 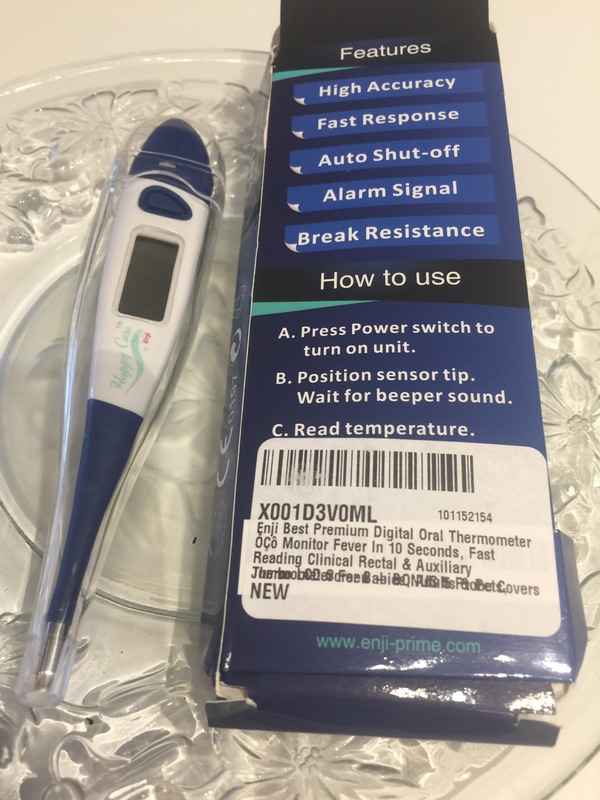 Don’t get me wrong the LED thermometer is also great, but if you can afford to spend a little more money initially, this product is easier to use with a really sick patient. 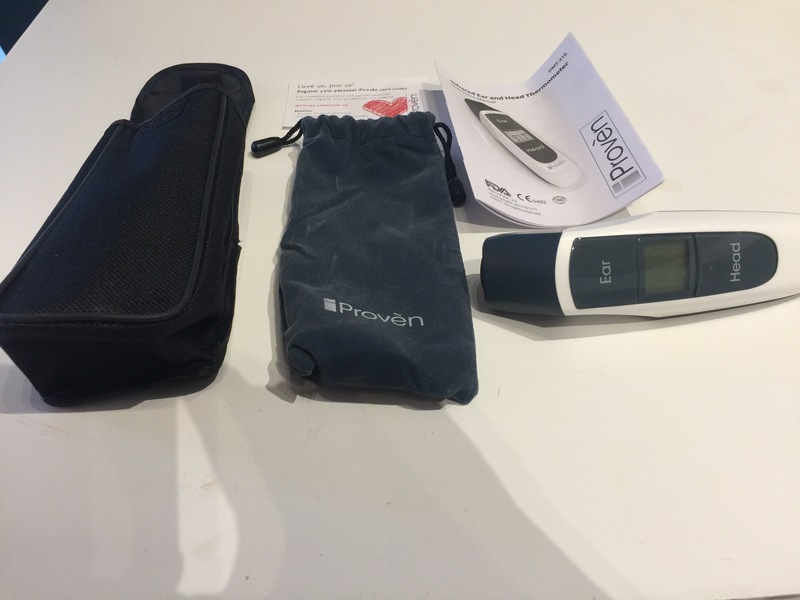 The dual mode thermometer reads a persons temperature in less than three seconds. Also, if your temperature is a little higher than normal the screen alerts you by turning red, besides giving you the temperature. This is very well constructed, high quality product. It comes with a small 12 page instruction manual that is very easy to understand. It comes with a protective pouch. This dual mode thermometer will last you for many years if taken care of properly. This is a great product that I highly recommend! I really love this lightweight, white ceramic band watch. 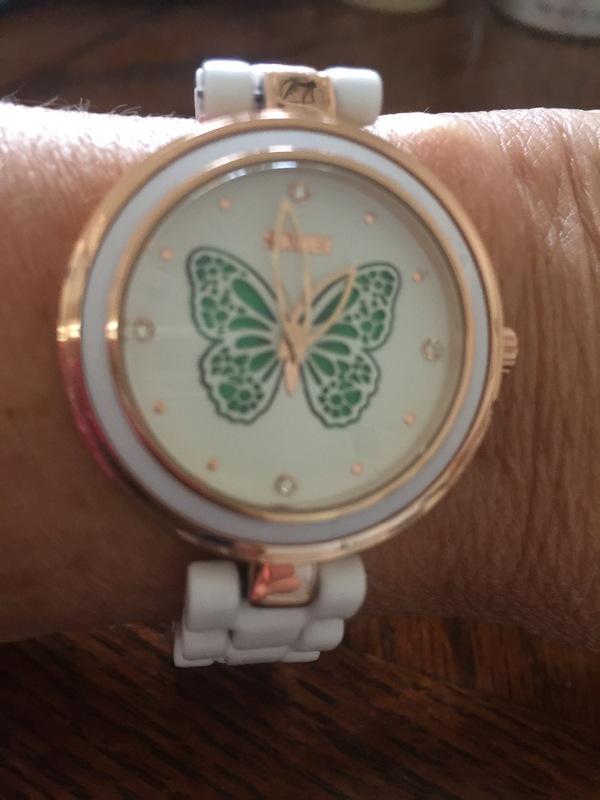 This watch has a white face with a butterfly outlined in green. It has little rhinestones at twelve, three, six, and nine o’clock which dress up the watch. The watch band is very comfortable and is adjustable. 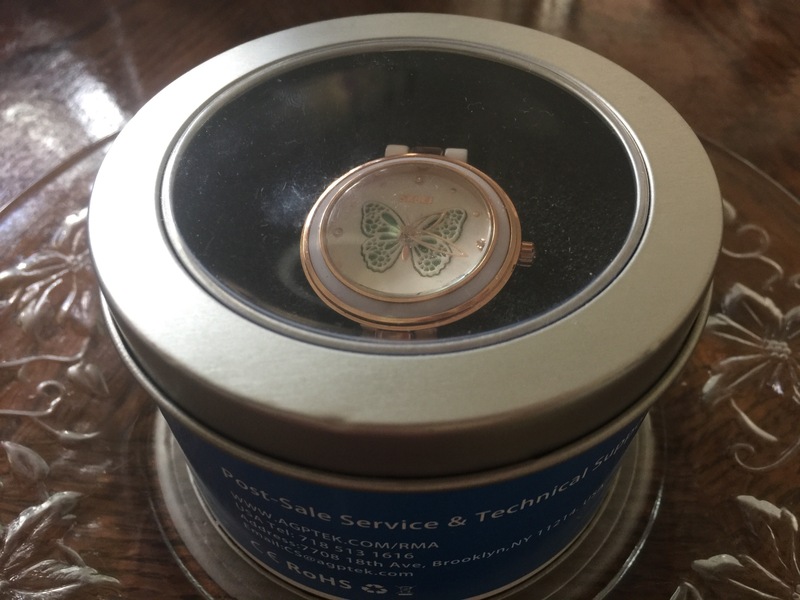 One important note: To set this watch to the correct time, I had to reset the watch by pulling out the stem and turning it in a counterclockwise direction. This is really a great everyday watch that goes well with any outfit. I would highly recommend both family and friends to purchase this beautiful quartz watch. This watch is shipped in a nice, sturdy gift like tin can. 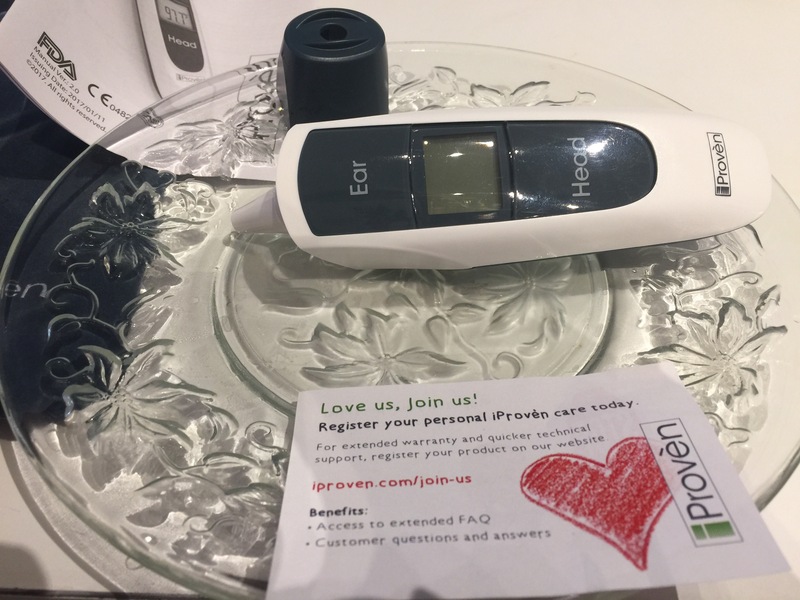 Best Digital LED Thermometer on the Market! This is a very well crafted digital thermometer. It reads your body temperature in less than ten seconds and is very accurate. I love the easy to read large LCD screen. The thermometer is made of a high quality plastic material. The thermometer cover fits the thermometer like a glove and is a clear, hard, durable plastic. The thermometer itself is has a very soft and comfortable/flexible tip. Some thermometers have a hard tip and when you place it under your tongue it may hurt you a little. 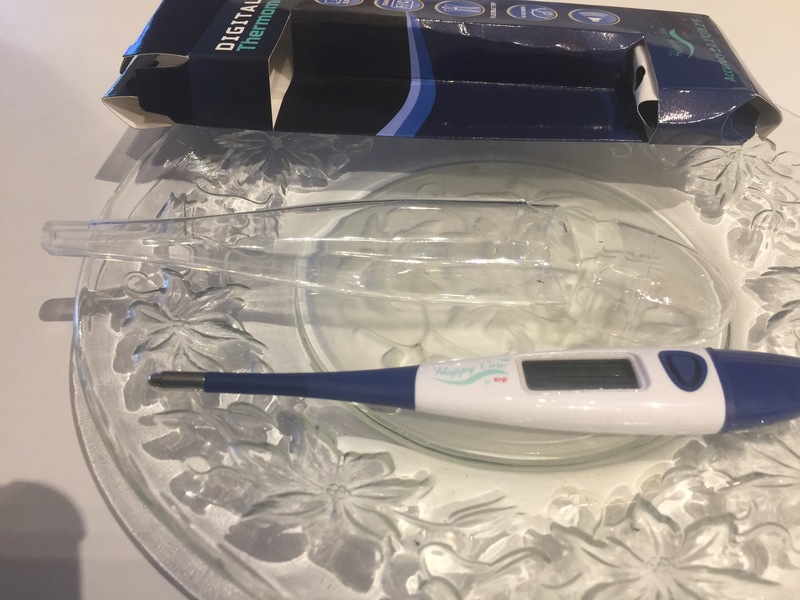 Not this thermometer, the manufacturer thought about the individual’s use of the entire product. This is the best digital thermometer I have purchased. I expect to use this thermometer for many years to come. I like it so much I am going to purchase one for each of my three adult children. Great product, well worth the money. 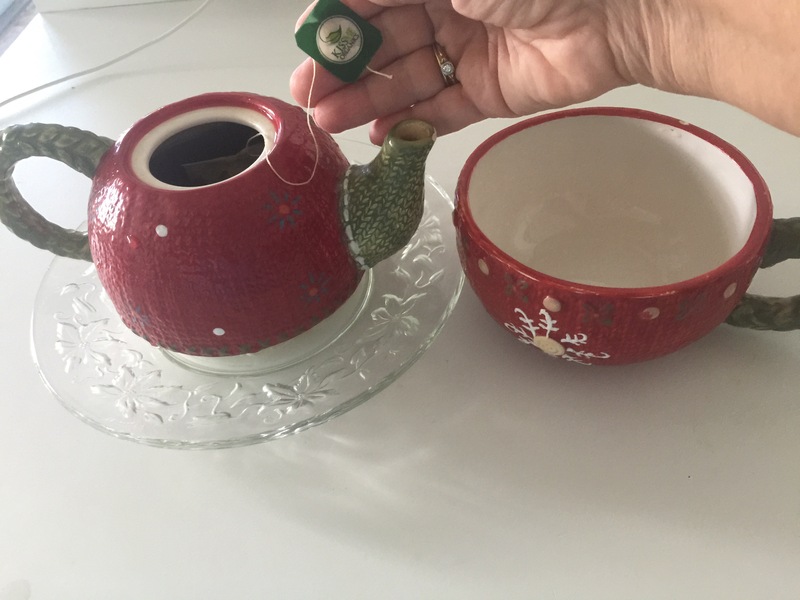 I enjoy having a cup of delicious hot tea first thing in the morning. I feel drinking tea is much more flavorful then drinking a cup of coffee. I enjoy waking up in the morning to a delicious, tasty cup of tea. I really like these organic vitamin teas. These tea leave a burst of flavor in my mouth. 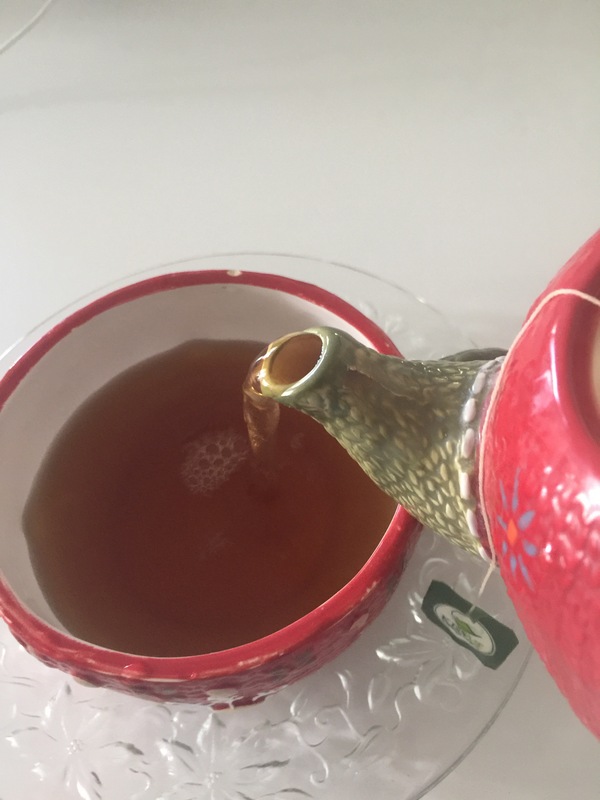 This tea really helps to wake me up and makes me happy to start my day. It makes a total of 80 very flavoranle organic vitamin teas. 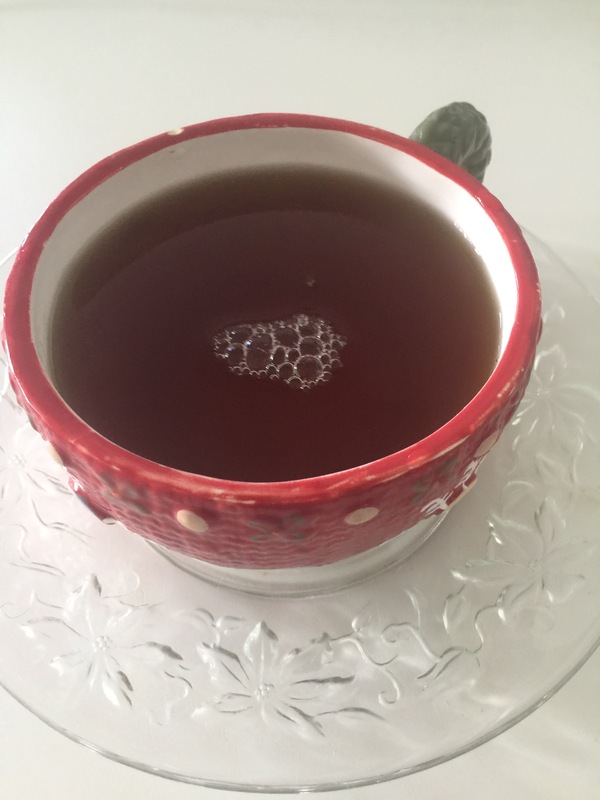 These teas are also great to boost your immune system. These teas have vitamin A, C, E, D, B6, and B11. The teas are non synthetic, vitamins are derived from organic fruits. Each tea bag has only 32 mg of caffeine. These teas are harvested from a certified organic tea plantation. The 80 individual bags of tea are all premium quality, gourmet teas. This tea is just as good or better then Starbucks or McDonald’s beverages and much more affordable. Wow! Delecious tea, well worth the price. These are my new favorite brand of tea.